Let lightweight champion Conor McGregor fight the winner of the Khabib Nurmagomedov vs. Tony Ferguson showdown. It's not quite time to put a bow on 2016, but it's close. And what a year it has been. Holy smokes, guys. It's often said this sport is still in its infancy, but 2016 might have seen its transition into its adolescent years. A $4 billion sale, Conor McGregor's multiple titles, MMA's legalization in New York, USADA's reach, Georges St-Pierre's non-comeback, labor rights groups, a random return of Brock Lesnar, record-breaking multi-million dollar purses, Chael Sonnen to Bellator MMA (?!). 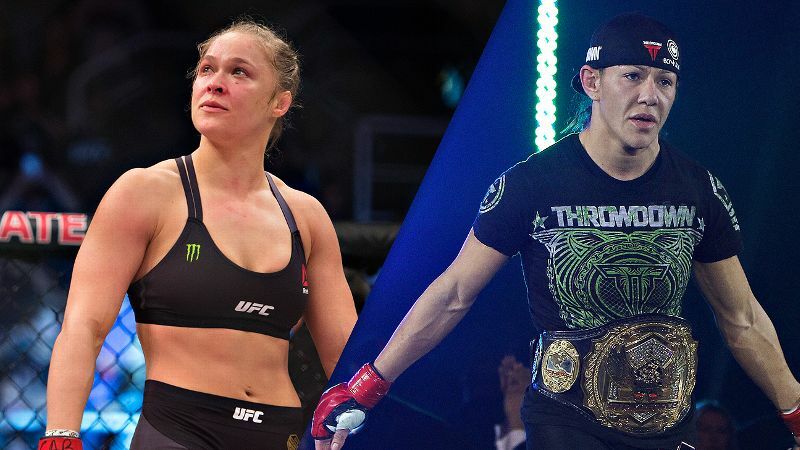 MMA as we knew it went a little crazy in 2016 ... and we've still got a Ronda Rousey comeback on the calendar. But even though 2016 isn't over yet, there's nothing wrong with looking ahead, right? And even with all the peripheral storylines, it's the fights we still look forward to most. Here are some of the top UFC and Bellator MMA matchups on my 2017 wish list, in no particular order. Khabib Nurmagomedov vs. Tony Ferguson, UFC, lightweight: Injuries robbed us of this matchup in 2015 ... and again in 2016. It needs to happen now. The Nurmagomedov puzzle vs. the invincible Ferguson buzzsaw. Something's gotta give. Things are looking up for this matchup in March -- for an interim title, perhaps -- but nothing is official just yet. The winner of that fight vs. Conor McGregor, UFC, lightweight: We can forgive McGregor for never defending the featherweight title. 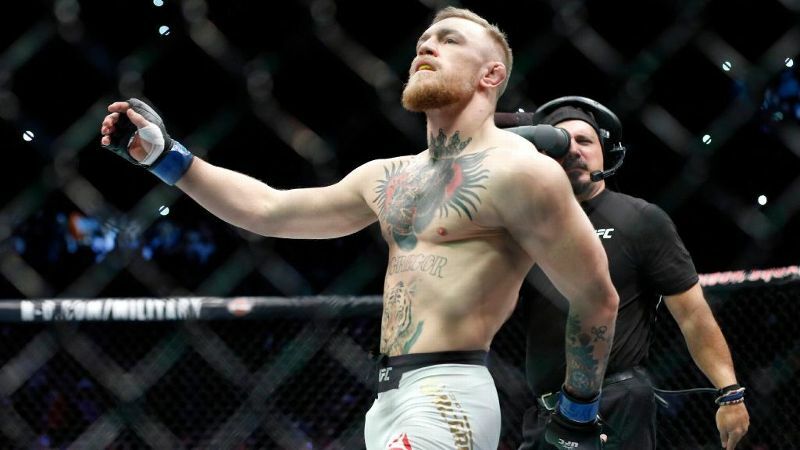 Fans weren't clamoring for a Jose Aldo rematch, McGregor wanted to chase history at lightweight and the Nate Diaz tour turned into a fun and unexpected detour. But if McGregor comes back and doesn't immediately defend the lightweight belt, I won't be able to support that. The winner of Nurmagomedov vs. Ferguson will have earned a title shot against McGregor. Robbie Lawler vs. Nick Diaz II, UFC, welterweight: Truth is, this rematch has been on my wish list since the first fight in 2004. Fingers crossed. 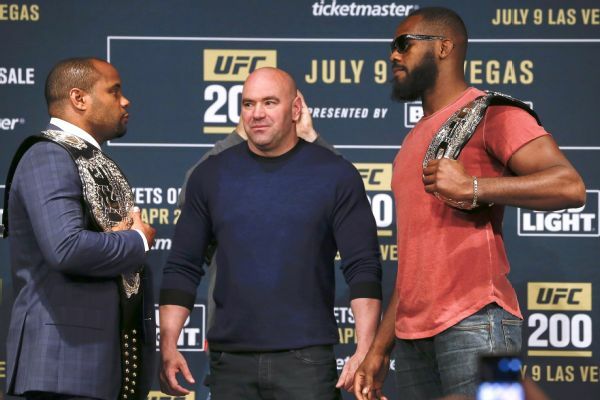 Former light heavyweight champion Jon Jones, right, should fight Daniel Cormier when his suspension is over in 2017. Jon Jones vs. Daniel Cormier AND Anthony Johnson, UFC, light heavyweight: Not at the same time, but both fights in 2017. Let's not beat around the bush here. Jones has really messed up the past two years of his career. Let's hope he gets it right in 2017 and takes on Cormier and Johnson in some capacity. The order doesn't matter. We just want both. Ronda Rousey vs. Cris "Cyborg" Justino is a fight for which MMA fans have been waiting for a long time. Is 2017 the year that it gets made? Ronda Rousey vs. Holly Holm and/or Cris "Cyborg" Justino, UFC, bantamweight and/or featherweight: I'm not 100 percent certain Rousey will fight beyond UFC 207 on Dec. 30, but if she does, there are only two options. She's not long for fighting, so nothing but the biggest matchups possible from here on out. No playing for the future super fight. Super fight now. In a perfect world, Rousey would fight both. But we'll probably consider ourselves lucky if we get at least one. Dominick Cruz vs. Jose Aldo, UFC, featherweight: Cruz has to beat Cody Garbrandt first. And Aldo needs to get by Max Holloway. Those are both far from sure things, but if they happen, these two have been around the top of the pound-for-pound list for years and are icons in their respective divisions. This would be an historic fight. Stipe Miocic vs. Cain Velasquez, UFC, heavyweight: Velasquez needs to beat Fabricio Werdum at UFC 207 first ... and then get and stay healthy. That second part might be asking a lot. If Velasquez can get back to form though, and stay in the cage, this is the marquee heavyweight title fight to make. If former welterweight champion Georges St-Pierre returns to the Octagon, a fight against Tyron Woodley should be on all MMA fans' wish list. 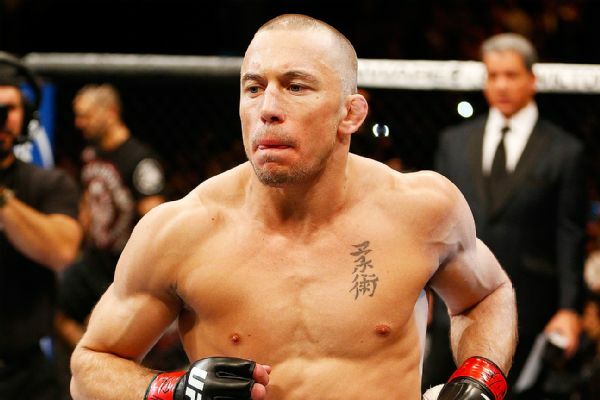 Georges St-Pierre vs. Tyron Woodley, UFC, welterweight: If you'd rather see St-Pierre in some kind of super fight against Anderson Silva or a middleweight title fight against Michael Bisping ... I disagree. Vacating a title in 2013, then returning in 2017 to win it back? What a boss move that would be. And Woodley has established himself as the kingpin of this division, and would further solidify his hold on it if he were to run it back with Stephen Thompson and win. This would be my top pick for a GSP comeback. Demetrious Johnson vs. Joseph Benavidez III, UFC, flyweight: I seem sort of alone on this one, which I don't understand. Talk of Johnson going up to bantamweight for a champion vs. champion fight doesn't do much for me. We've seen him fight at bantamweight before. The size is a lot to overcome. I don't mind watching Johnson at his best, against opponents his size. Benavidez has been No. 2 since forever. Everything would be on the line for Benavidez in a third fight; it might be his last shot at gold ever. And Johnson would be trying to tie Anderson Silva's all-time title defense record. What's not to like here? T.J. Dillashaw vs. Frankie Edgar, UFC, bantamweight: Two of my favorites to watch from a technical standpoint. Depending on what's out there for Edgar at featherweight and Dillashaw at bantamweight, this might be a fight that could actually make some sense, believe it or not. Can't think of many better stylistic matchups. Rapid Fire: Jimmie Rivera vs. Thomas Almeida, UFC, bantamweight; Charles Oliveira vs. Ryan Hall, UFC, featherweight; Yair Rodriguez vs. Doo Ho Choi, UFC, featherweight; Michelle Waterson vs. Rose Namajunas, UFC, strawweight; Donald Cerrone vs. Robbie Lawler, UFC, welterweight; Nate Diaz vs. Eddie Alvarez, UFC, lightweight; Michael Page vs. Paul Daley, Bellator, welterweight; Michael Chandler vs. Benson Henderson II, Bellator, lightweight; Eduardo Dantas vs. Daniel Straus, Bellator, featherweight.